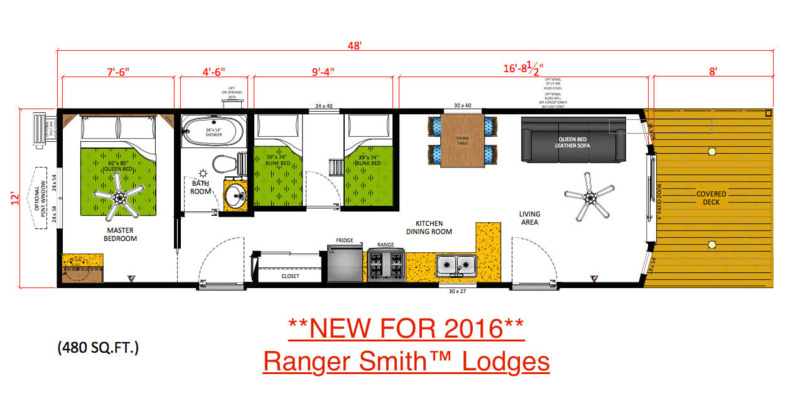 Ranger Smith™ Lodges can sleep up to 8 people. These are the newest and largest rental units at our park! 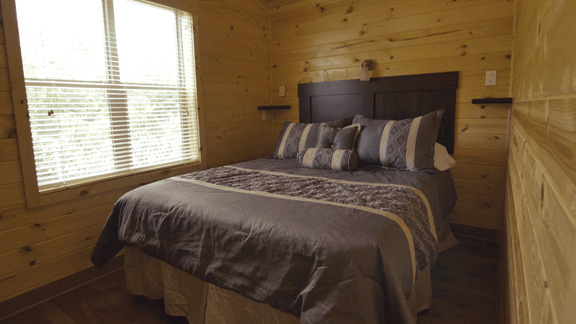 Nightly rates are based on 2 adults and 2 children – additional adults are $9 extra per night and additional children (ages 3-17) are $5 extra per night. Eight towels, bedding and linens are included. 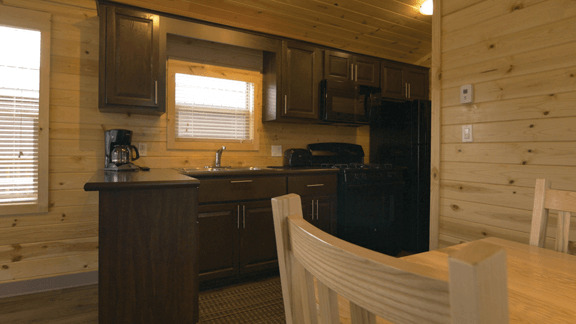 All Ranger Smith Lodges included basic dishes, pots, pans, utensils, oven/stove, coffee maker, toaster, microwave, full fridge/freezer, TV, air conditioning, heat, and full bathroom with shower/tub. 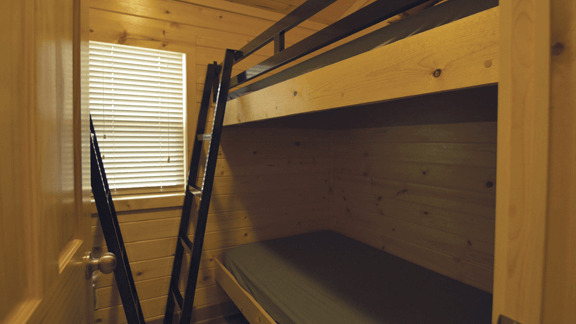 The main bedroom is a queen-sized bed, there is a second bedroom with two bunk beds (4 single beds total - 2 beds on top, 2 beds on bottom). There is a pull-out queen sized sofa bed in the main living area. 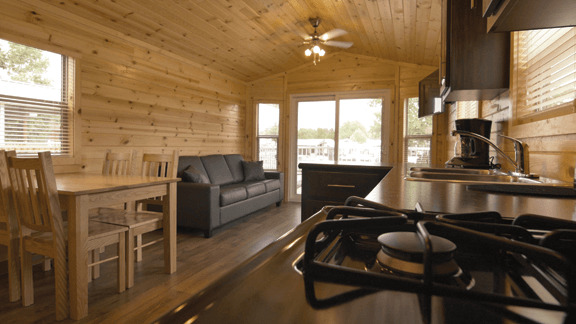 There is a covered deck at the front of the cabin that has a door to the main living area and the deck wraps around from the porch down the side of the cabin. No pets or smoking allowed! No tents allowed on the site! Please bring your own towels for the pool. There is a fire ring on the site, a charcoal grill (on a pole) at the rear of the cabin, and a picnic table. Two night minimum stay. Three night minimum stay on summer holiday weekends. 50% deposit required. No Saturday Check-ins or Saturday Check-Outs allowed.